Unlike the U.S. (Trump) or U.K. (Brexit), Japan lacks a strong, anti-establishment populist movement. Populism is on the rise in advanced economies, but not in Japan. Here, the ruling coalition party won by a landslide this summer’s parliamentary upper house elections. The SEALDs (Students Emergency Action for Liberal Democracy), an activist movement, just disbanded. While populist voices in other nations are rising to confront the establishment, why the apparent harmony in Japan? One reason is that Japan lacks open immigration policies, a central theme around which working classes in other countries rally. In Europe, the U.K., and the United States, working classes worry foreign workers will take their jobs. They fear immigration benefits the elites at their expense. Opportunist politicians, fanning divisiveness, claim immigration lifts crime, attracts terrorism, and diminishes national culture. Yet less than two percent of Japan’s population is foreign. Of Japan’s immigrants, 90 percent are Asian, and two-thirds come from kanji cultures – China, Taiwan, and Hong Kong. Most quickly learn the Japanese language (which also uses kanji). Asians mostly blend in, integrating easily, resulting in few identifiable immigrants to complain about. Homogeneity also prevents many problems that are prevalent in more heterogeneous societies. Japan’s deep-rooted collectivist culture is ethnically, religiously, and linguistically homogeneous. Differences in social classes exist, but they are not as extreme as in other countries. The Edelman Trust Barometer reports an accelerating disparity in trust between informed public elites and mass populations in the majority of the 28 countries they surveyed. The U.K. and the United States were among the most divided. However, the trust gap in Japan remains narrow. Typically social polarization is linked with income inequality. Japan has the seventh highest relative poverty rate among 35 OECD countries. Yet the crime rate is low and homicides are rare. At 3 percent, the overall unemployment rate is the lowest in the OECD. When all factors are considered, life in Japan may be better than some measures suggest. Gregory W. Noble, professor of politics and public administration at University of Tokyo’s Institute of Social Science, argues Japan is less polarized mainly because core families – the number of regularly employed working-age males who support families – are more stable than elsewhere. Noble notes that the number of regular employees in Japan has been constant since 2004-2005 (at about 33 million), despite the nation’s shrinking workforce, according to statistics compiled from the Ministry of Internal Affairs and Communications by Nippon.com. True, the number of people working in low-paid and unstable jobs is increasing, as they are in other countries. Over 40 percent of Japan’s total workforce is now in non-regular employment. However, the rise has not caused the number of stable jobs to decline. One reason may be that women, college students, and others, prefer to work part-time. More college students are taking part-time jobs because the percentage of high school students going to college has increased from 35 percent to 50 percent over the past 35 years. Noble believes the economic backbone of the nation remains intact. “Even if the wives are working temporary jobs or their sons or daughters are going to school and working part time – dad still has a permanent job,” he says. Another reason Japan lacks a populist movement like that in the U.K. (see: Brexit) or in the United States (Trump) is that the government heavily influences public opinion through kisha (press) clubs. Kisha clubs control press access to politicians. To remain a club member, media firms must spin news to the government’s liking. The government’s influence over public opinion is leveraged by the huge market share enjoyed by Japan’s mainstream press. Elsewhere, people have switched to the Internet as their primary source for news and information. Experts once thought the Internet would democratize the news. Instead, social media “filter bubbles” bathe people only in news provided by friends and family. Such news polarizes the thoughts of people who never learn what others from different social classes are thinking. It is one reason why people from the U.K.’s “Remain” camp were caught off guard by the “Leave” victory in the Brexit vote. Noble also highlights Japan’s voting system, which divides the opposition, preventing a strong challenge to the incumbent party. Japan’s electoral system, reformed in 1994, combines winner-takes-all with proportional representation. Proportional representation allows smaller parties to live on, while the U.K. and U.S. winner-takes-all style of voting creates two-party systems. Under winner-takes-all, smaller parties die out because third-party candidates always lose and voters don’t like losers. Republican protest votes typically go to the Democrats in the United States, for example. Candidates don’t like losing either. Their parties are pressured to amalgamate; what remains are two political parties. However, under Japan’s mixed electoral system, votes from the political left are split among many parties. The opposition Democratic Party (DP) competes for votes not only against the incumbent Liberal Democratic Party (LDP), but against at least two other well-established parties, the Komeito and the Communist Party. The DP itself was formed this year out of a merger of two previous opposition parties: the Democratic Party of Japan and the Japan Innovation Party. The once-conservative LDP is now a broad catchall party, which includes its coalition partner, the Komeito. Constituents include recent immigrants, women, poor rural voters, and the religious who would normally be voting for the left. While the coalition has worked well for Japan by restraining the worst impulses of the LDP, without a viable opposition, the nation stagnates because of policy failings made over recent decades. Despite the failings, “The LDP has done a clever job of convincing voters that it is the natural party of government,” says Noble. Compared to other advanced democracies, Noble believes Japan may be a more stable, if not stagnant, society. “A Donald Trump can’t take on the Republican establishment as he did in the U.S. You can’t do that here,” he says. Richard Solomon is contributing writer to the Nikkei Asian Review and The Japan Times. He posts regular Beacon Reports at www.beaconreports.net, where this piece was originally published. Once again, the DP misses a chance to carry out substantial political debate. 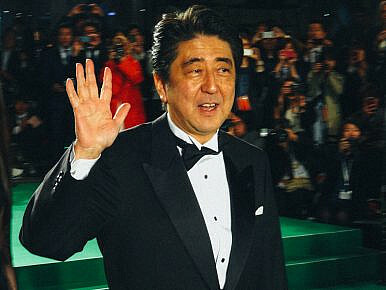 A Big Win for Japan's Ruling Coalition: Main Takeaways Japan Election Victory Gives Abe Mandate For ReformCan a Cabinet Reshuffle Reverse Abe's Downward Spiral?Tokyo Metropolitan Assembly Election: Winners and LosersWhat Does Tokyo's New Governor Mean for Japanese Politics?